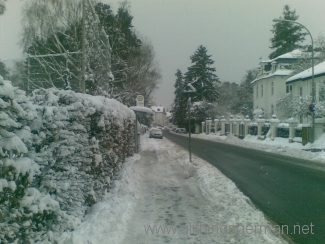 Last winter many towns in Germany were criticised for not doing enough to prepare for the hard winter months. In fact, when I think about it, the last TWO winters have been very cold and with lots of snow here, and in some cases I had the feeling that the side roads were not being gritted or cleared. There were days when it was almost impossible to get off my parking space and I resorted to taking the bus into town to get to my appointments. A new law in Germany has tightened the rules on the types of tyres that you can use in winter. Until now, the law only said that you had to have “suitable” tyres for the road conditions, but did not actually specify that you had to have winter tyres on in winter. Indeed, many people with good tread on their summer tyres continued to use them throughout the winter, and would probably argue that they were suitable as long as the main roads were clear. The trouble was, that unless they caused an accident, the police were as good as powerless to argue against them, so the politicians were under pressure to amend the law to get things clarified.